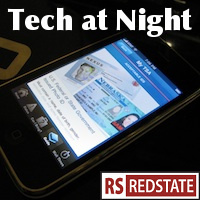 Tech at Night: Sacco, Vanzetti, and Aaron Swartz were all guilty. It’s time to break up the Bitcoin ring. So even as Eric Holder is pushing back against the Weekend at Bernies-ification of Aaron Swartz, the man who committed premeditated crimes (as the puppet on the strings of the callous Larry Lessig, perhaps? ), was caught, and was getting prosecuted for his high-profile sabotage of one of America’s leading academic institutions. It’s rare that you’ll see writers at RedState agree with that guy, but Moe is pushing back against the excesses of the Swartz defenders as well, and I pretty much agree with Moe. Guys, if you want to push an anarchic anti-copyright agenda, do so on its own merits, as Joe Karaganis does. Don’t use the corpse of a suicide to do so. There is room for IP reform in America, with excesses like the Sonny Bono act in the picture, and odd situations where Frito Lay can use patent and trade dress, two distinct concepts, to attack the same competitor. But the Swartz fan club is as auto-discrediting as the Sacco and Vanzetti crowd ended up being. I’ll tell you what needs prosecuting next: the Bitcoin ring that ‘monetizes’ hacking of home computers, and creates the preferred currency of Tor-using child molesters. Tor isn’t the problem though. Tor is the communications medium. Bitcoin is the currency. Attack Bitcoin and you attack the core of the problem. Heh. The Pirate Bay team is shocked, shocked that its criminal user base supported an alliance with North Korea. Also shocking is that Obama’s cybersecurity executive order exempted Google. Whodathunkit. I’d be more sympathetic to Leaky Leahy’s unlocking bill if I didn’t know the truth of the phone unlocking movement: this is pushed by people who want to buy subsidized phones, use government-mandated ETF caps, and basically swipe a phone for cheap. Weak.